For those of you Batman fans, who don’t know about this, this post could be a shock of your lifetime!! The legendary superhero Batman (Bruce Wayne) died in the one of the latest issue of the comic series titled “Batman RIP”. 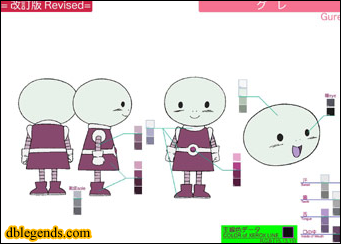 The character had made his first appearance in this world in 1939 and had been going on since then! Well, this statement can no longer hold true coz, the hero has met his sad demise! It goes like this… Hurt, the villain, shoots Batman and tries to escape in his helicopter! But even after being wounded, the hero jumps towards the copter, resulting it to crash! The comic doesn’t show Batman’s body after that. But they have planned to show him dead officially in the next volume. This could even mean that, the movie series of the same character may also end the series with the death of the character after 2-3 more installments! The comic series reportedly is not going to end just yet! They plan to continue it with a few more volumes. This could even mean that, the character might have a GRAND COME BACK!!! And that is one thing, which is going to be great, if at all it happens. And now, Batman’s position as the crime fighter of Gotham City will be taken over by none other than, Robin, now Nightwing! So? How do you people feel about this? Dragon Ball Special Leaked on You Tube! I don’t know, how these fans do it, but now they have uploaded the special dbz series released online just 2-3 days ago on you tube! Even after making such special browsers, everything has come back to the square one. I have posted them in this post. View them now, coz I don’t think that they will be there for long! Don’t forget to leave your thoughts on the special series! DBZ Special Series Out Online! Watch It! Yes Sir!!! Goku and his friends are back after 11 years!! But the only difference this time is that, they are online!! But what difference does it make to us fans, when we have got brilliant web sites like Jupland and brilliant blog sites like this one to inform you people about such great news? Well now about the special Dragon Ball Z Series! It has got an all new opening video and the video quality of the series is fabulous! Instead of telling you all about this, it would be better, if you people get to watch it! To do so, download the link first! Download here. And now download the special web browser, which has been specially made to view the series. Download the web browser here. I think they have done it because some smart fans would download the series easily using there own web browser! Oh! And one more thing! The video is only free till the 31st of January 2009! So! Here is what you have to do now. 1) Install the web browser. 4) Drag drop the previously downloaded link to the minimized browser. 5) The video will start automatically. 6) Oh! Forgot to mention! Before the video starts, get a packet of popcorn! 7) Sit back and enjoy watching your favourite characters beating the hell out of the new villains!! Thanks to Jumpland for all this! Dragon Ball Z Special Series Online on 11/24/2008!! Attention all DB triology fans!!!!!!!!!!! Akira Toriyama, the creater of one of the legendary anime series of all time has created a new special series of Dragon Ball. The series is actually based on the events, that should have happened just after the death of the Evil Buu in Dragon Ball Z! This series has got a few new characters too!! According to dblegends.com, the series will be streamed online from 24th November onwards on the official site Jumpland. The new characters are here, which were provided on dblegends.com. “It has been two years since Majin Buu was defeated and Satan has become a hero for defeating him. However, Videl remembers the truth of those events, and seems to be embarrassed about her father. A gigantic hotel is being built in Satan’s honor. Upon completion, Satan decides to throw a party for Goku and the others who fought with him. Meanwhile, Goku, Chi Chi, Gohan, and Goten have been making their living growing radishes. Videl soon arrives and asks Gohan to bring his family to the party. At first Goku doesn’t want to go, but he changes his mind once he hears there will be rare foods there. Kame-sennin, No. 18, Krillin, etc, take off for the hotel and give Goku’s family a lift. Piccolo descides to not ride along, but rather flies after them on his own. The group from Capsule Corp. arrives at the hotel first, and when Vegeta and Goku see each other, they begin to fight. Goku realizes the party is starting, and heads off to the assembly hall. 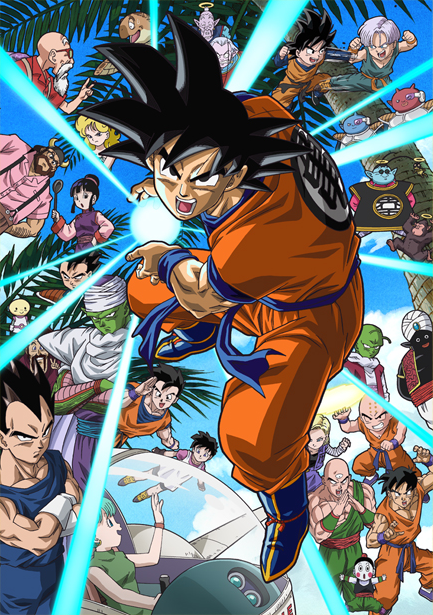 Apart from Goku’s family, Vegeta’s family, and Kame-sennin’s group, the crowd includes Dende, Mr. Popo, Karin-sama, Yajirobe, Yamcha, Oolong, Gyuumao, Kaio-sama, Bubbles, Gregory, Kibito-shin, and Elder Kaioshin. Despite the fact that there’s supposed to be no media coverage of the party, members of the press appear and ask Satan questions about Buu’s defeat. While the “Z Senshi” are eating, two Saiya-jin style spaceships land on Earth. Piccolo and Gohan are the first to notice, then No. 18, and eventually everyone stops eating and the atmosphere becomes tense. A sharp-eyed Saiya-jin and a small alien emerge from the two spaceships. Using his scouter to detect higher battle powers, the Saiya-jin soon arrives at the party. 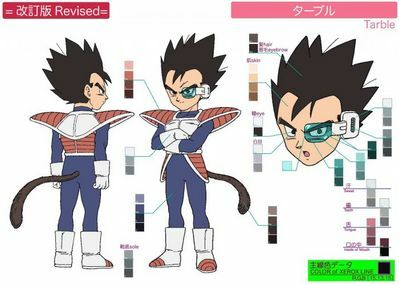 Upon seeing Vegeta, the Saiya-jin calls him “big brother”. The “Z Senshi” are all shocked by this sudden event. The Saiya-jin introduces himself as Table, along with his wife, Grey. Vegeta says that Table had been sent off to a remote planet because he had no talent for battle. Table begs our heroes to defeat Abo and Kado, who have ravished his planet and pursued him to Earth. Goku says that if they’re strong, he’ll fight them, and Gohan wants to help as well. Goten and Trunks think it sounds interesting, Krillin and Yamcha say they want to try as well, and eventually even Kame-sennin wants to fight. Table measures their battle powers with his scouter, and says that they’ll be of no help since their battle powers are so low. Vegeta scolds Table for relying on his scouter, and as an example, Goku begins to gather ki. The battle power reading on the scouter steadily increases. It soon breaks as Goku goes Super Saiya-jin and then Super Saiya-jin 2, and Table is amazed by Goku’s power. Goku thinks it will be unfair to if everybody fights the weaker guys, and suggests they select a single representative to fight. Goku teleports Gohan, Goten, Trunks, Piccolo, Yamcha, Krillin, Kame-sennin, Videl, Chi Chi, Bulma, Table, and Grey to Mount Paozu (this whole time, Satan, Fat Buu, Kibito-shin, and Elder Kaioshin have been ignoring Table and just go on drinking). Goku suggests that they each draw a radish, and the person who draws the longest radish will be the representative. Goten draws out a very long radish, and it seems he will be the one to fight. This makes Vegeta jealous, and he tells Trunks to pull out an even bigger radish. Pressured by Vegeta, Trunks pulls out a very thin but incredibly long radish, and becomes the representative. Meanwhile, two other spaceships land on Earth, containing Abo and Kado. Pursuing Table, they arrive at Satan Hotel, and a panic erupts. Goku and the others soon return, and things clam down. It turns out Abo and Kado are remnants of Freeza’s army, who have taken control of Freeza’s planets now that he is gone. Vegeta also knows of them, and says that they were supposed to rival the Ginyu Special-Squad. Table says that the two have become much stronger, and that not even Freeza could beat them now. Goku loses his enthusiasm when he hears that they’re “only” at Freeza’s level, and decides that it’s alright for Trunks to fight them. With some difficulty, he gets Vegeta’s permission to let Goten fight as well. At first Abo and Kado underestimate their child opponents, and they get clobbered and knocked into some boulders. They decide to get serious, and they each split into three people. Trunks and Goten are completely unable to counterattack now that Abo and Kado have become six people. Vegeta advices them to sense their ki and locate the real Abo and Kado, but they can’t. Gohan offers to help, but they turn him down. They settle on having Gohan merely tell them where the real Abo and Kado are. With Gohan’s accurate advice, Goten and Trunks drive Abo and Kado to the wall. Aka rises out of the lake and is enraged. He lets out a giant energy wave, firing it from both hands and his mouth. It hits Gotenks and causes the Satan Hotel to collapse. Aka then starts shooting energy bullets, damaging each part of the hotel one after the other (this technique is called the “Wahaha no Ha/Wahaha Wave”). In order to protect his friends, Piccolo deflects each energy bullet with a Makankosappo. Krillin uses a Kienzan to save No. 18 and Marron as they’re about to be crushed by rubble. Yamcha protects Bulma from the falling rubble by using the Sokidan, Yajirobe saves some people by slicing rubble in half, and Kame-sennin also protects a beautiful woman from the rubble. Goku and Vegeta decide to finish off Aka. They argue over which one of them should defeat him, when Goku points and asks “What’s that? !”, causing Vegeta to look away. With Vegeta distracted, Goku takes off towards Aka, while Vegeta objects that that was dirty trick by Goku. Aka fires a Super Wahaha no Ha and Goku counters with a Kamehameha, then nails Aka with a punch with all his heart and soul behind it. Keep visiting for more news on the topic! Thanks to dblegends.com for the info and pics!